Turkey and carols, presents and crackers - they all start to feel a bit . . . samey. How about a huge exploding mince pie, a pet abominable snowman, or a very helpful partridge in a pear tree? What if Father Christmas went to work at a zoo, or caused chaos in a toy store or, was even, arrested for burglary!? 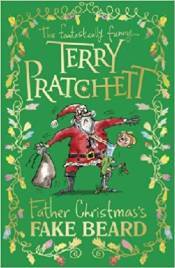 Dive into the fantastically funny world of Terry Pratchett, for a festive treat like no other. These ten stories will have you laughing, gasping and crying (with laughter) - you'll never see Christmas in the same way again.